I met Culo, then known as Jack, at the old Humane Society Silicon Valley in Santa Clara, CA, summer 1997. 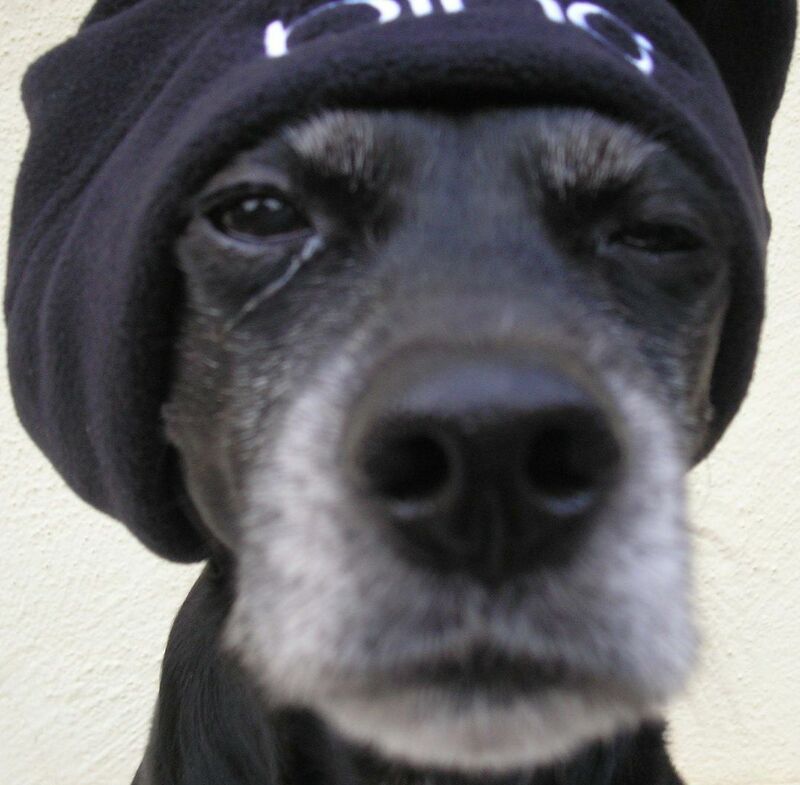 For the last 13 years, I've had to factor in the health and well being of my dog Culo into almost every decision made about my life. Everything from fabrics of clothing to furniture placement to work locations to vacations. Today, that lifestyle came to an end. My roommate, companion and walking buddy died at 9:30 am at Murphy Avenue Pet Clinic in Sunnyvale. The euthanasia (Euthanasia... What To Expect by DrTJDunnJr) administered by Dr. Karen Lee (Dr. Ken Stewart, Culo's usual vet was out) was very quick and humane. I was in the room when the shots were given. I'm very sad and a little at loose ends now that Culo is gone. For instance, 6 pm used to be his dinner time. As I'm writing this, it's 6:15 pm but it doesn't mean anything special any more. I keep expecting to see him peeking at me around corners or nudging the back of my legs so I'll pet him. I still find myself watching where I step even though there's no little 25 pound dog I may smoosh. The mornings in the bathroom will be different since Culo will no longer put his paws on my lap to get petted. Or stick his nose into the shower steam to see what's going on. 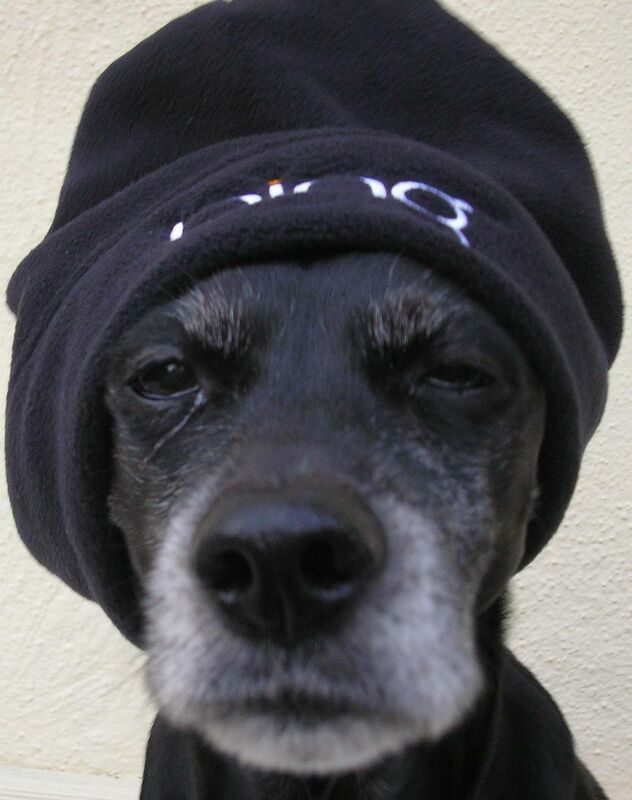 Culo's last illness was an aggressive cancerous tumor in his nasal cavity. Cancer in the sense of body cells that turn on the host and gradually destroy formerly healthy material. The trouble started out as sneezes and weird wet sounds in his chest and throat area. By the end, the tumor almost totally blocked his breathing. Instead of switching to mouth breathing, sometimes Culo's whole body would shake in the effort to get air through his nose. To me, it sounded like a duck quacking. He would only pant with his mouth as a last resort. On the last day, he'd figured out a kind of perpetual throaty growl as a way to breath through his mouth. Poor boy was working way to hard at existing. The bloody globs he was exhaling all over the house didn't help. Some patches look like scatter diagrams. The cancer also caused the bone in the front part of his head to crumble. In the last week, his face area noticeably lost its former shape and structure. The bump between his eyes became bigger and reader.. Plus a pinched nerve made his left eye bulge and forced his third eyelid to stick in the up position. Even though I miss Culo, I'm so happy he's not in pain and discomfort anymore. 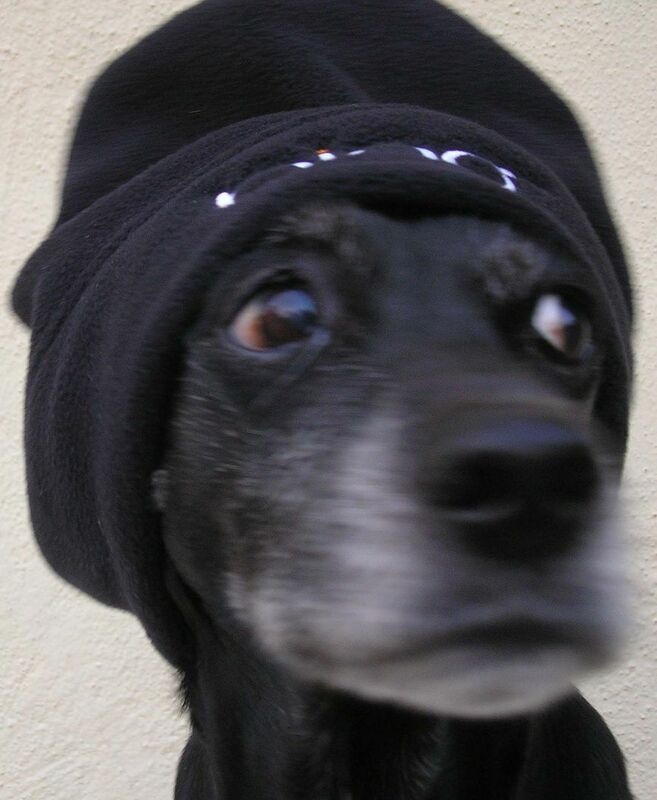 When I get his cremation ashes back in January, I plan to turn them into a gem such as Pet-Gems or LifeGem. That way, I can have him with me without it being creepy like taxidermy or an urn filled with dusty ashes. It looks like my vet donates used pet supplies to Pets In Need Redwood City. Perhaps they'll take Culo's old stuff? I made the following post at the CSix Cloud Computing Announcement Page. I'm copying here in case people don't see it there. Be sure to check out the Cloud SIG main website and Facebook page too. Energy, Climate Change & Environmental Sustainability Specialist Thomas Loxley Rosenberg presented the following slides to the CSix Cloud Computing SIG during our regular Friday meeting 2-19-10. View and download presentation here. The meeting notes taken by Taff contain some useful information discussed during the presentation. I met Thomas during a PinkSlipMixers.com event at B4Twelve Ultra Lounge in Palo Alto CA. I didn't see Google or Tesla Motors as promised, but I did meet someone interesting. We did the typical networking routine of introducing ourselves and talk about what we did or are interested in. Most IT hardware, upon which the Web depends, is not easily recyclable. In fact, some elements are toxic to humans. Data centers that online companies, such as Facebook, rely on coal power plants to run the servers. and communication technologies), can reduce at least 15% of greenhouse gases produced by non IT sources. Discussed how the CLUMEQ Supercomputing Center convective air cooled data center, in collaboration with Sun, has rethought the whole concept of managing server farms. An innovative, energy-efficient cooling enclosure leveraging a 3-level cylindrical floor plan with up to 1.5 megawatts of cooling capacity and space to host up to 56 standard-sized racks. Free cooling conditions the air inside the silo by using cooler outside ambient air, along with a system of water filled pipes and coils, drizzle humidifiers and very high-efficiency fans. Thomas Loxley Rosenberg, What is Environmental Sustainability? 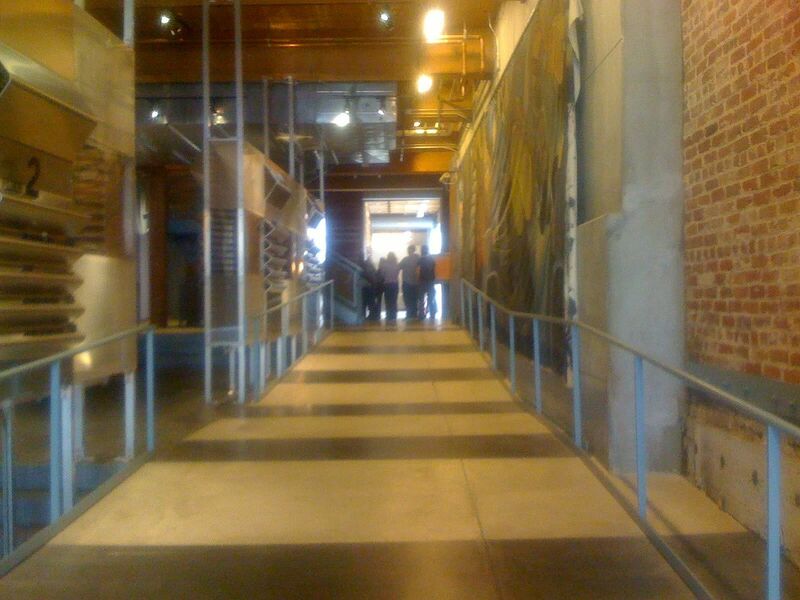 I made the following post at the CSix Cloud Computing SIG blog. I'm copying here in case people don't see it there. Be sure to check out the Cloud SIG main website and Facebook page too. Earlier this week, I attended an IEEE Cloud Computing meets IBM's Smarter Planet Initiative event put on by the Santa Clara Valley Chapter Computer Society. The speaker, Lennart Frantzell, PhD of the IBM Innovation Center, San Mateo, has the goal of pushing technology until computers replace mankind. I liked how Lennart Frantzell tied in current trends of smartphones and social networking to the growth of cloud computing. 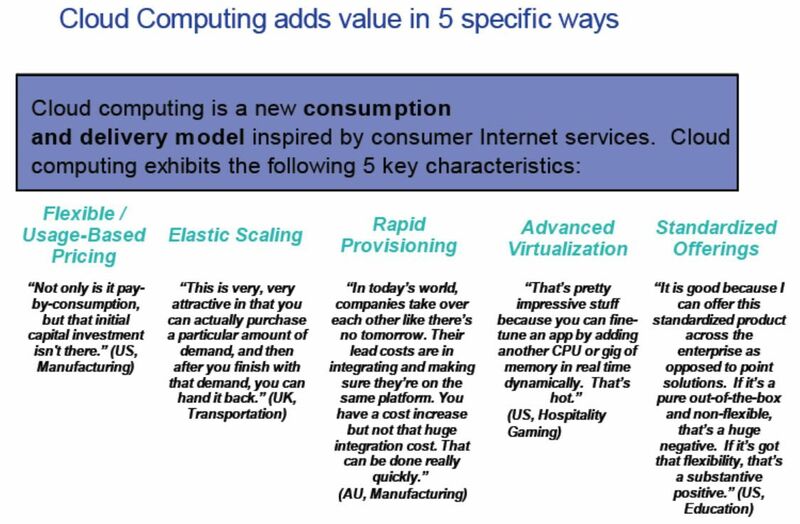 Without demand for more bandwidth and vendor neutral infrastructure by web users, the challenge of cloud computing activity may have stayed in the enterprise domain. Social networking is driving the growth of cloud computing. Frantzell explained how IBM Innovation Centers play a role in expanding the global digital infrastructure. A behind the scenes innovator in converting the world from analog to digital. The demo of one hospital based Cloud Computing implementation looked a lot like Big Brother. Wearable tracking systems allow computers to determine how well a doctor sticks to a predetermined checklist. Medical practitioners are at risk for being beeped at for failing to wash their hands long enough. The level of remote monitoring gave me shivers. Other remote management, like reading energy meters, are less intrusive. Lennart Frantzell also discussed the differences between private clouds, public clouds and hybrid clouds and how they interact. 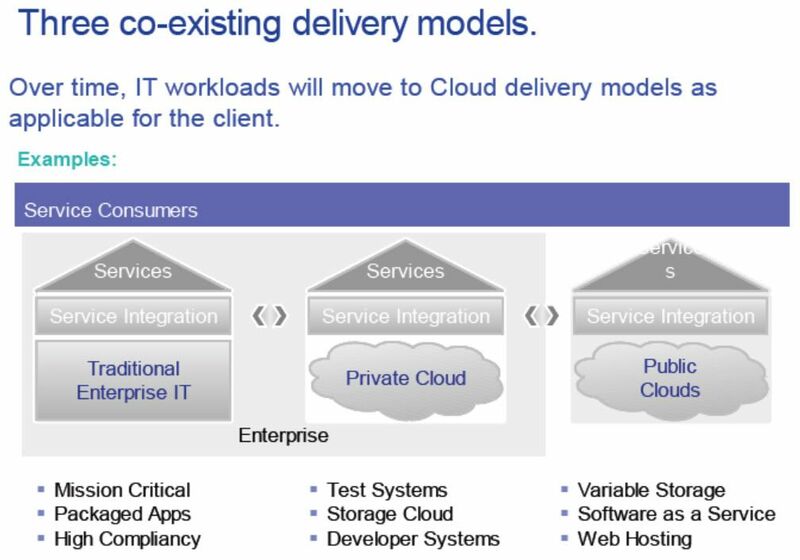 Hybrid and public clouds can act as storage or computing capacity backup or fail over. Hybrid and public clouds give enterprises the flexibility to have an internal private cloud as well immediate ability to absorb short term spike in need. The world is becoming instrumented. There are a billion transistors per human, each one costing one ten millionth of a cent. Cloud computing and mobile computing are changing how software is deployed and used throughout the world. IBM presentations of their cloud computing offerings available on cloud homepage. All things are becoming intelligent. Algorithms and powerful systems turn those mountains of data into decisions and actions that can make the world work better. Smarter. As the world's leading globally integrated IT company, IBM is attempting to use modern IT technology to tackle many of the world's problems. In this presentation, Lennart Frantzell will talk about IBM's global smarter planet initiative in its quest to make the world a smarter place. How prepared are you for a large earthquake? Donations for the relief effort in Haiti have been pouring in from throughout Silicon Valley as children, adults and companies have responded to the devastating earthquake that struck near the capital of Port-Au-Prince. From the latest innovation of text donations to the old fashioned writing a check, valley residents have already pledged tens of thousands of dollars to help the stricken country. "The money is coming in so fast," said Cynthia Shaw, spokeswoman for the American Red Cross Silicon Valley Chapter. "Locally, people have been very generous. Some companies are offering matching donations. The big thing we've noticed is the text to donate phenomenon." Silicon Valley residents have taken advantage of an effortless donation process that allows them to make a $10 donation to the American Red Cross by texting "Haiti" to 90999. The money is automatically added to their cell phone bills. As of Friday morning, Californians had donated about $1.5 million by texting their donations, Shaw said. The American Red Cross has committed $10 million for immediate relief efforts in Haiti. Roelandt Foundation. Donations will be sent to organizations working to provide critical assistance in Haiti, according to the Silicon Valley foundation. "We're seeing the generosity of our community from all quarters," said Emmett Carson, CEO and president of the community foundation, adding that donations have been received from corporations, individual donors, kids and adults. Other Silicon Valley companies, including Yahoo, have created matching donation programs for employees. Some Bay Area residents have created their own personal giving pages to help raise money. Sheila Dowd of San Jose, who along with Cat Lincoln and Stefania Pomponi Butler operate Clever Girls Collective, a social media consulting group, wanted to make a small contribution. Because the women often have weekly online events, such as watching "Project Runway" and tweeting about who should be voted out, they used the opportunity to raise money online. The women set up a giving page through firstgiving.com and promised to match $250 in donations. They got the word out to family and friends through Twitter and Facebook. "Money is tight, but what do know how to do is organize people online," Dowd said. "We were watching Project Runway and at the same time make it socially conscious. We encouraged all of our folks to give money." By Friday afternoon, the women had raised $620 and planned take advantage of the Silicon Valley Community Foundation's matching donation program. The Stanford University School of Medicine, the Department of Medicine and Stanford Hospital & Clinics have offered a $25,000 matching program to the medical center community. Those funds will support patient care at Hopital Albert Schweitzer in Port-au-Prince, which withstood the Tuesday quake and is functioning as a major treatment center for mass casualties. It remains one of the few institutions providing care for the many thousands of individuals injured in the calamity, according to a Stanford press release. The San Jose Giants will be donating $1,000 to the relief efforts. Plastic Jungle, a Mountain-View based company, is allowing people to turn gift cards into cash donations for the American Red Cross Santa Barbara County Chapter. Not all of the Bay Area's earthquake relief efforts are donation-driven. At MedShare's 32,000-square foot distribution center in San Leandro, a 40-foot container filled with requested medical supplies was scheduled to ship to Haiti on Friday, sponsored by Rotary International. The supplies were donated by 20 Northern California hospitals. The FBI is warning people to be wary of online scammers who are seeking donations through unsolicted e-mail requests. To make a $10 donation to the American Red Cross, text "Haiti" to 90999 and the money will automatically be added to your cell phone bill. Donations can be made online www.siliconvalley-redcross.org or over the phone, 1-877-727-6771. To make a donation through the Silicon Valley Community Foundation"s matching funds program, go to www.siliconvalleycf.org and click on Donate Now or call 650-450-5444. Checks also can be mailed to Silicon Valley Community Foundation, 2440 West El Camino Real, Suite 300, Mountain View, CA, 94040, attn: "Haiti Earthquake Relief Fund." To donate or learn more about MedShare"s relief efforts in Haiti visit the Web site at www.medshare.org. Media outlets that have staff in Haiti. Reporting and hopefully helping. Sometimes the mainstream media gets on my nerves. But in times like this, they have the resources and connections to get in there and make things happen. I donated via text message to Wyclef Jean's YELE organization, text “yele” to 501501 to donate $5 to the Yéle Haiti Earthquake Fund. Not only has Wyclef been a champion for Haiti for years, his uncle, Raymond Joseph, is Haitian ambassador to the United States. Mr. Joseph was the gentleman who elegantly slammed religious charlatan Pat Robertson who said Haiti made a deal with the devil. Mr. Joseph responded on The Rachel Maddow Show to Robertson's extreme hatefulness and ignorance with dignity and high self worth. Besides a Red Cross or Doctors without Borders, he has the most credibility in sincerely wanting to help. I didn't know there was an official name for a political spoiler until today. You know, the candidate that is similar to another, more popular candidate of one of the major parties. Usually the spoiler only differs in a hand full of points from the main party candidates. In all cases, the spoiler is always, without exception, running for ego driven, self-aggrandizement purposes. Otherwise, they'd focus on getting their "team member" elected and work with the major candidate's administration to get their points of views worked on from within the system. The bad thing (at least when it's your party) about the spoiler is that they drain away enough votes from their ideological peer to allow the opposition party to win. Think Ralph Nader's affect on Al Gore's chances for United States president in 2000. Thanks to Anu Garg's Wordsmith.org A Word A Day email, now I know the official word for political spoiler. ETYMOLOGY: After the former practice of bird hunters of hiding behind a horse (or a decoy) until he had reached within close range of prey. This week's theme: words about government, politics, and elections. 1. Something used to cover one's true purpose; a decoy. 2. A sham candidate put forward to conceal the candidacy of another or to divide the opposition. 3. A horse trained to conceal the hunter while stalking. A canvas screen made in the figure of a horse, used for similar concealment. 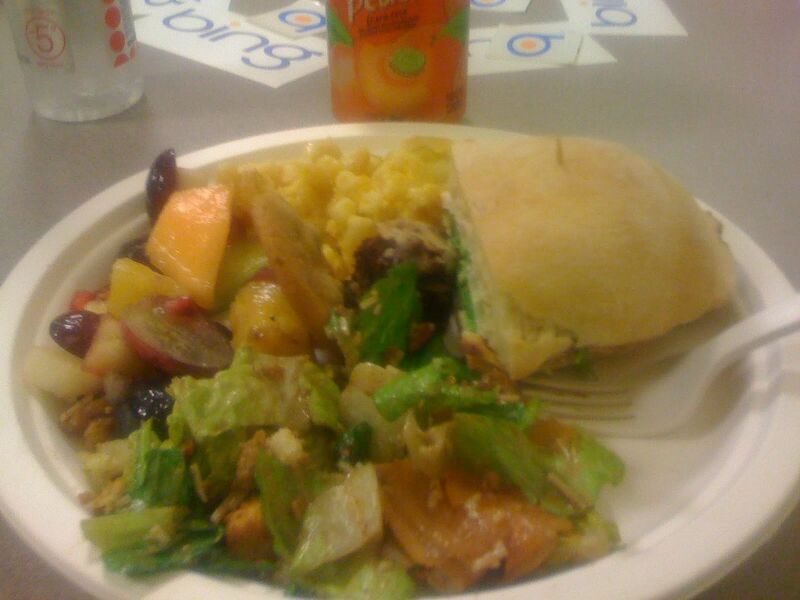 Earlier today, I went to the Lunch 2.0 at Bing! Celebrating 6 month launch with Twitter at Powerset’s office in San Francisco CA. For lunch I had green salad with balsamic vinaigrette, grapeful fruit salad, macaroni and cheese, Medateranian chicken sandwich with Kerns peach nectar drink. Thanks for the grub, Bing. 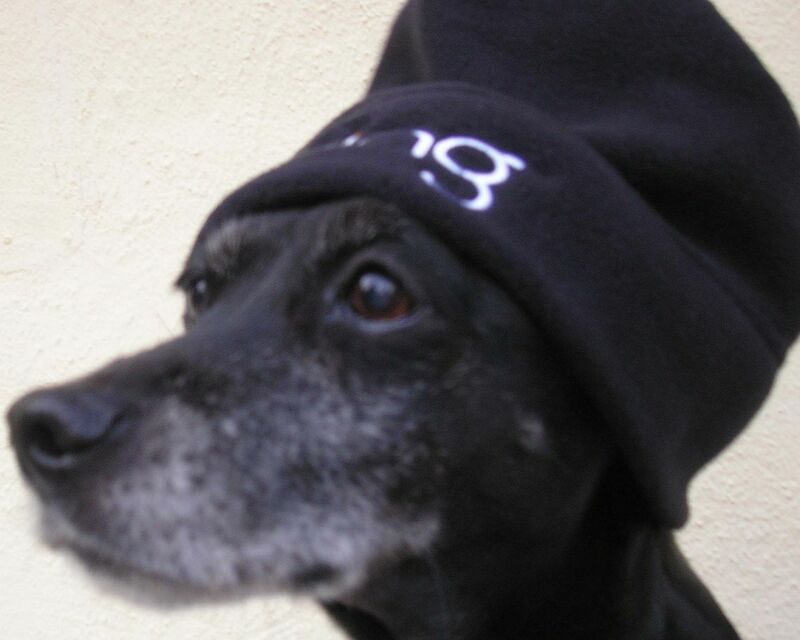 The most fun part of the event was dressing Culo in the swag beanie and taking some thuggish photos. So menacing, so cute. 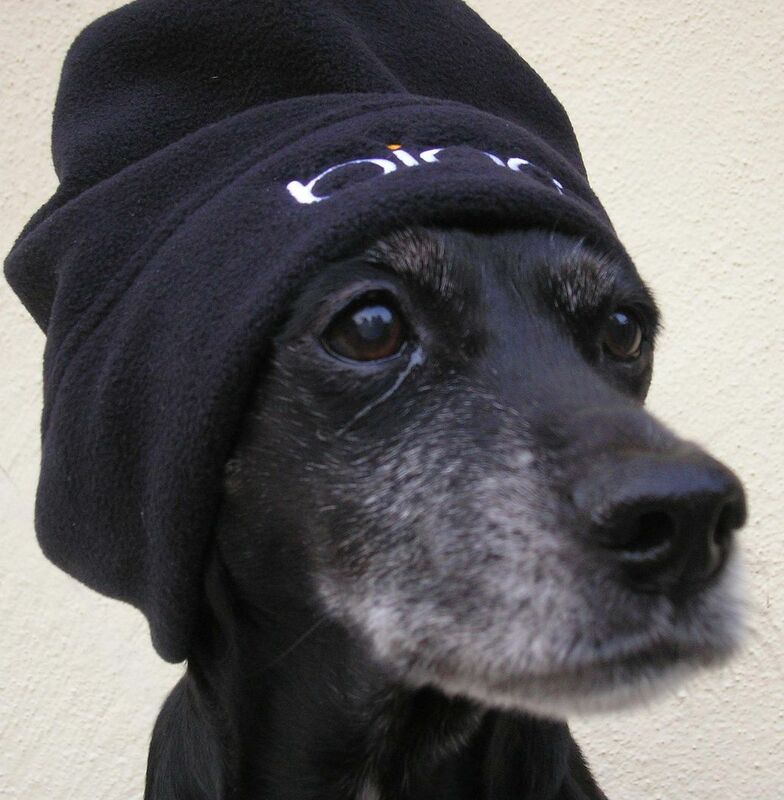 Culo in Bing Beanie Looking Like a Wise Old Man. Eye booger and all. World leaders are about to start negotiating what's likely our last best chance to avert catastrophic climate change—a global treaty to bring down carbon emissions. The stakes are huge, and yet so far it's politics as usual, and conventional wisdom has it that there won't be a deal. topics relating to educational, networking and career transformation opportunities in Cloud Computing, virtualization, IaaS, PaaS, SaaS, Software Frameworks and Web services areas. I still like looking at them. I loved this article on The Weirdest Clouds that You’ll Ever See on Webdesigner Depot. 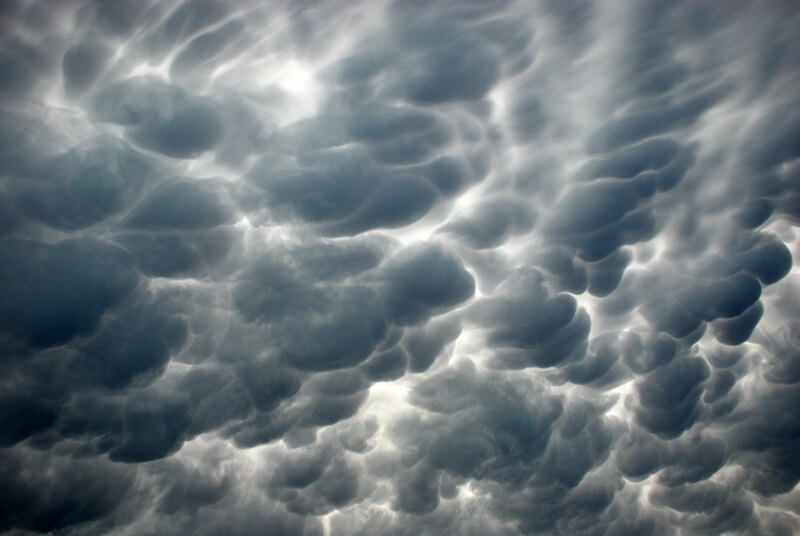 So many very amazing pictures of clouds.